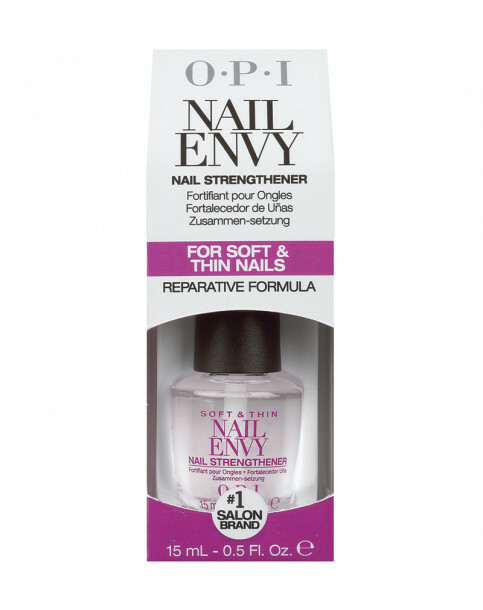 Strength is beauty and OPI delivers strength with its range of Nail Envy natural nail strengtheners. OPI has developed a different formula to meet your individual needs. The Soft & Thin formula is designed specifically for soft and thin nails by fortifying nails with extra calcium and sea minerals. Nail Envy Soft & Thin Formula is rated 4.0 out of 5 by 4. Rated 5 out of 5 by SisterBliss from Wonder worker!! I have been using this since I bought it a few weeks ago and can honestly say that I can't remember when my nails were this long, or felt so strong.